Welcome back for Day 3, if you are just arriving for the first time all the details and the linkup can found HERE. Today I have Simon Says Stamp and some of there fabulous designers as my guests to help get you in the Christmas spirit! Simon Says Stamp is also a sponsor in this event offering a $50 gift voucher to one lucky person. 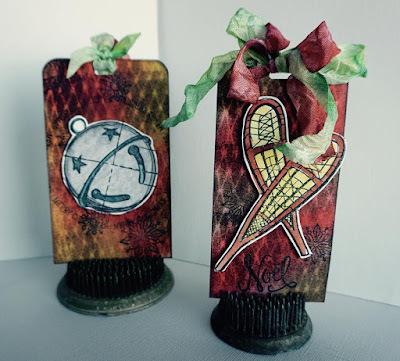 Shari Carroll has created a special tag and video over on the Simon Says Blog for today's post! Be sure to pop over to see them both and for a chance at another giveaway from Simon. Comment for your chance to win here today by letting me know whether you like to make tags that are cute and fun or elegant and classy? Super fun tags! Love them! Oh my, such an overload of fabulous inspiration. There's a few in particular that make me want to run to my craft room and start creating! Great samples by the team! I am absolutely LOVING all of this holiday tag inspiration!!! The tags for today are totally adorable!!! Awwww...love your snowman! Such a cute tag Tracey! So much gorgeous inspiration! I need to get moving on my tag!! Thanks for organizing this fun and spec-TAG-cular event, Tracey! 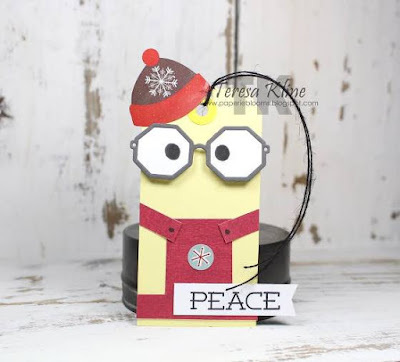 I love how my DT mates rock this tag challenge! Your snowman tag is such a gem! Love it! Such awesome inspiration today. 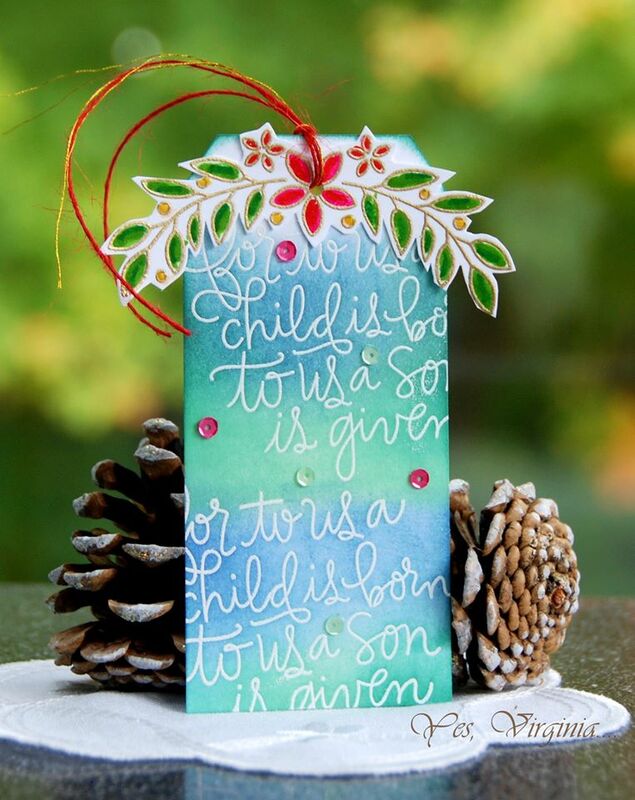 I'm heading to my craft room to get started on some tags!! Oh, another day of FABULOUS tags!! Love! Oh, my goodness! I want to CASE all of them! Wonderful ideas. Thanks so much. Beautiful work. Love all of these wonderful tags by the SSS team, and your little snowman tag is super CUTE! So much inspiration--everything from cute to gorgeous! Love the snowman you used, Tracey! What a fabulous gallery of tags! OH to have that many presents under the tree?! Beautiful tags today! I just love all this bright Christmas color! Gorgeous designs! Very nice! There are so MANY great tags! OH these are all so fun! What an abundance of inspiration! Your little snowman with the lights is just adorable!! All those tags are just gorgeous!! Love your snowman holding the lights Tracey!! SO cute! 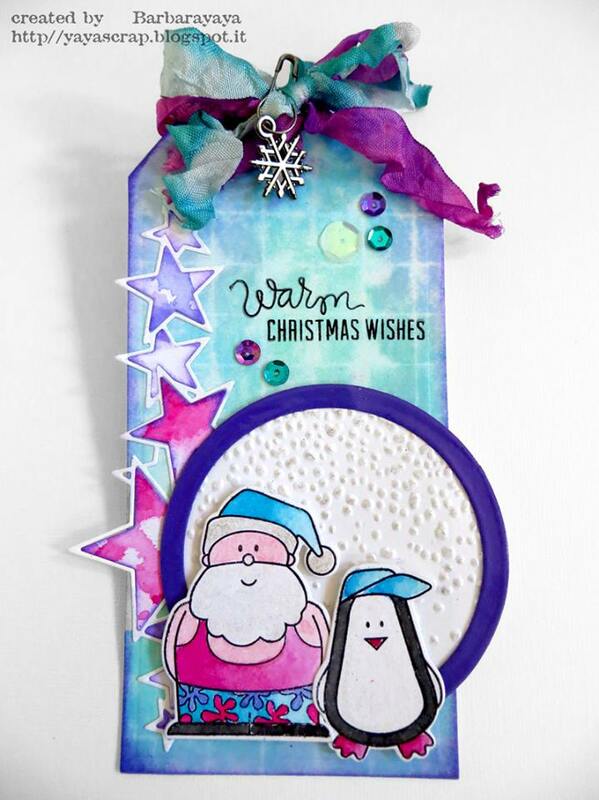 more great inspiration - love Barbara's tag with the non traditional colors and the two figures in their baseball hats and shorts. I like cute and fun! My favourite tags have critters or snowmen. I haven't made any elegant tags (yet). Love today's samples! I am getting inspired! Love making tags and I love making both the cute and the elegant kind. It depends on the need! :)These are all fantastic by the way and Shari's is amazing, too! Wow, so much inspiration! Love all these amazing tags! Your cute snowman looks adorable! Thanks for the inspiration! I love making tags and I make mostly cute and fun and a few elegant ones. Thanks for the chance! I love all the wonderful inspiration you've got here, Tracey. I'd say cute and fun for my tags. I tend to make more elegant & classy (in a CAS way) tags than cute and fun. I am finding I have lots of Christmas greetings and sayings but not very many images so I'm restricted somewhat by that. Love the tags like cute tags. 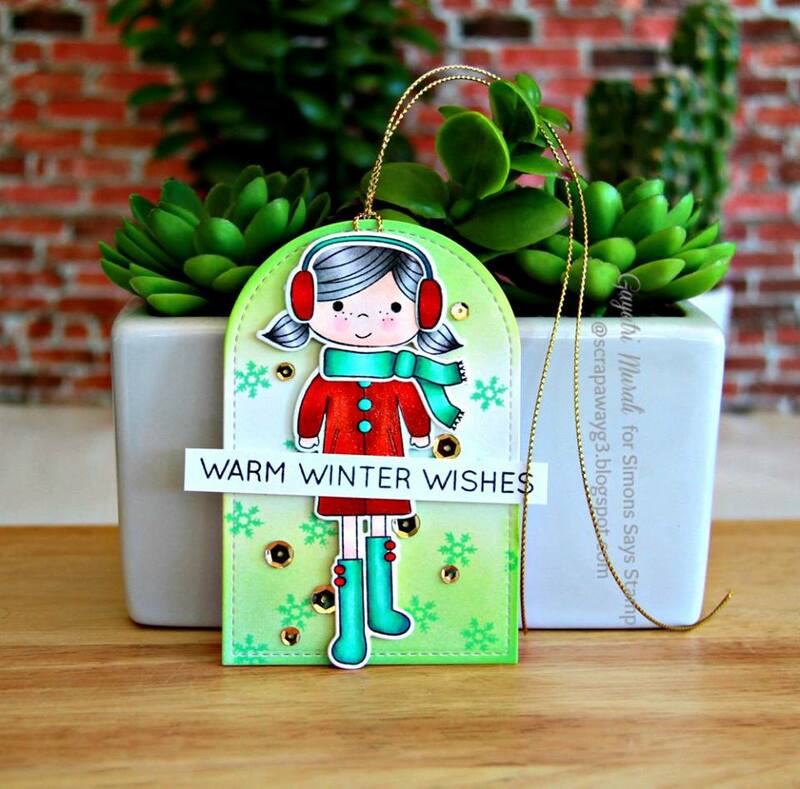 The recipient determines whether the tag is cute and fun or elegant and classy. I just love making tags of all kinds! I do both. This year I seem to be drawn to anything with gold. Been buying a lot of gold product. Great tags by everyone! 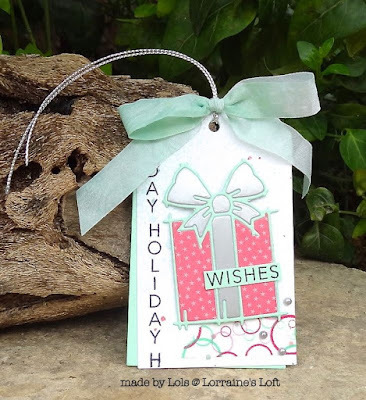 I love making all kinds of tags....depends on the gift whether I will make it cute or elegant, lol! The designers did a great job! I like to make them in different styles, always thinking of the person who will receive it. I usually go for classy but now that we have grandchildren, Fun is the rule! I am actually making tags with them this weekend! Gorgeous tags ladies, thanks so much for sharing them with us! I love to make cute and fun tags the most. Love all the little critters! Wow, so many cute and fun tags (MY favorite kind) but you have those elegant and classy ones too...so much inspiration to choose from!! Love the tags! I just saw Sheri's video at SSS and popped over to see what's up here, so glad I did. I like to make both kinds of tags, then use them for the "appropriate" person. Love all the inspirations here, specially the funky shaker, it looks fantastic. I can't believe how many guests and sponsors your got lined up for this, Tracey! So much fun! Wow, Tracey...talk about an array of inspiration and styles! Cute, classy, whimsical, elegant...and all so wonderfully lovely! My tag style: same as what we see here: a bit of everything! More terrific inspiration today! I love your snowman tag with the Christmas lights. I am really hoping tomorrow will be tag day at my house!!! Such fun tags...cute tags are the kind i like the best. Fantastic cards Tracey. Love the cute tags... is that a minion tag?! I usually go for elegant... cute images usually need coloring and I am not very good at it. Sweet tag Tracy! Thanks for hosting! Beautiful tags from the team and you!! I think tags should definitely be cute & fun! Great tags and such variety! 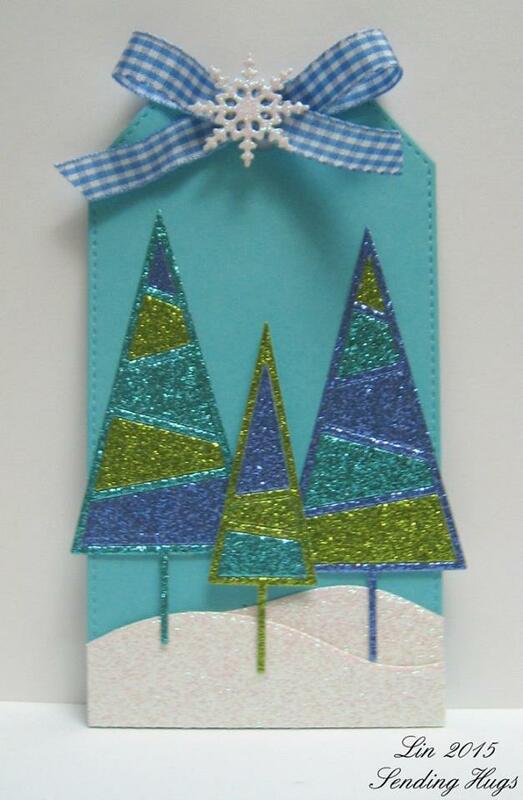 I enjoy making the cute tags, much to my teenage sons' dismay (although they secretly love them too). What a lovely array of tags today, Tracey. It depends on the recipient whether my tags are cute or elegant. Such awesome tags! I love your sweet snowman on the red background! What a pretty line up of tags, my goodness!! Yours is as CUTE as can be Tracey!! With Sweet P, my tags will be CUTE this year!! what a wide range of awesome tags! I love to make both it depends more on who the gift is for. These are all so beautiful, each one is so unique. Love that Simon! I forgot to answer your wuestion before so better take this one rather than my other. If I make tags I think I would love to make both, fun ones for friends that enjoy a laugh and classy and elegant for people like my mum. Super fun Tags! And I love your adorable snowman! Love SSS too! I like to make cute tags. Absolutely wonderful all that different tags of the team - thanks for lots of inspiration! FABULOUS tags, LOTS of CREATIVE designs and techniques!!! Hopping along to learn all about the other tags shared today!!! WOW, what wonderful tags! Some great ideas here, for sure! I love your tag. I haven't made tags yet. I am hoping to do that this year. When I do, I hope to do both. Wow!! So many beautiful tags!! Thanks for all the inspiration!! Love those very modern looks! I like to mix my tags up with both classy and cute, depending on the recipient! I can't get over how much tag inspiration is going on here! Your snowman is super cute, Tracey! and the SSS designers all shine! Forgot to say, I love the CUTE, but I make both! 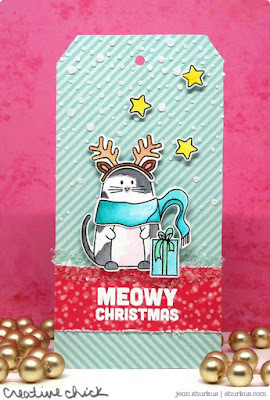 I prefer making cute an fund tags more then the classy ones (usually it depends on whom the tag/gift will be given to). Love seeing what this talented group created. Thank you. WOW! So many great and varied tags to inspire me today. I like to make both elegant/classy (for the adults) and cute/fun (for the grandkids). So much inspiration again! i really love the Santa in singlet and shorts - that's how Christmas is for us in Sydney! Cute tags come much easier to me so I choose cute. These are fabulous and I am in love with your adorable snowman. I'm definitely a cute and fun tag gal! Wow awesome so much inspiration over here love all the tags shown. And I enjoy making both fun and cute and elegant tags. I love both classy and fun tags - snowmen are my weakness! Love the projects today - such a fun variety. These are so cute!! Each and every one is so different and fabulous at the same time!! LOVE the snowman!! Awesome tags! I love them all! Oh my word!!! Simply amazing, Tracey. Love all the tags...busting with festive goodness. Ooops. In my excitement I forgot to answer the question. I like cute tags... small and cute - that's my motto! I don't have a style, though I don't do too cutesie. There were lots of fun designs today. Wow! I love seeing all these designs in one place. And your snowman is just the cutest! I love Simon's products! All of these tags are adorable!! thanks for sharing so many wonderful ideas. Okay, the minion is FABULOUS, but I don't tend make cute tags, I feel like I'm more classy-- or just CAS. 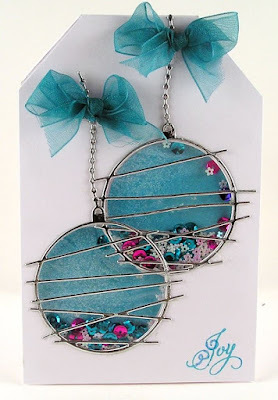 I make both styles of tags but I do lean towards cute and fun. Lots of inspiration in the variety of tags ! I don't tend to make tags because I don't tend to give gifts that need tags. But the few I've made tend to be a bit more elaborate. I made tiny shaker tags last year. But I'm thinking I should make tags as gift sets. I'm definitely a "cute and fun" girl when it comes to tags. I really like the double tag look on the first one and the snowman one is adorable! Love all these fabulous tags! The Christmas tree one if my fave!! Although I love elegant and classy, I tend to make cute and fun tags and cards! I am definitely a cute and fun tag maker. I love SSS and there's so much variety in their dt samples. 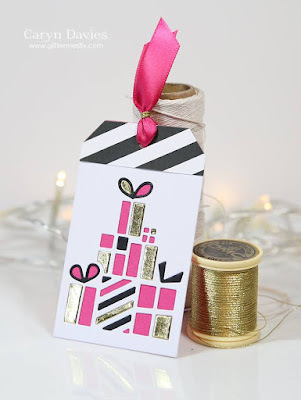 I can't say that I stick to one style when I create tags - sometimes it's cute, sometimes elegant, sometimes distressed - just depends on my mood and the recipient! So much to see and love AND inspire! Love that sweet, little snowman! 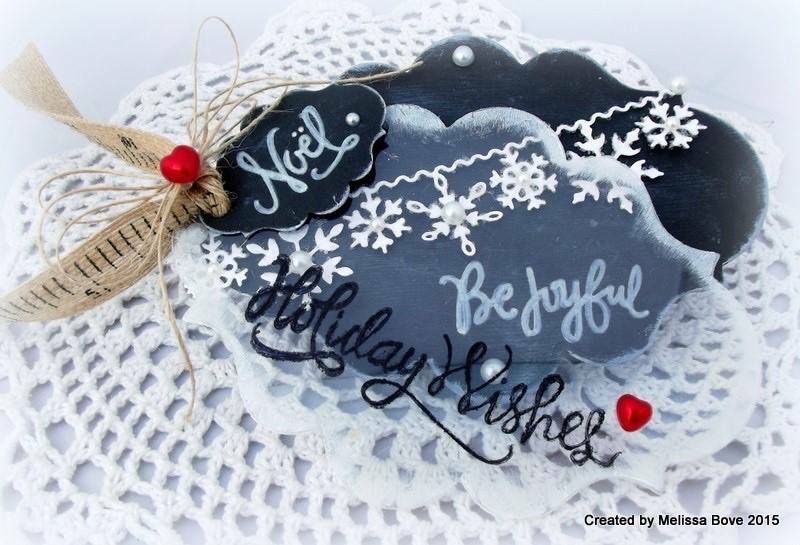 I like to make cute and fun tags that make people smile when they see them:) Wonderful inspiration today! I like making both, I'm equal opportunity. And can I just say that that minion tag is pure and utter genius?! Usually cute and fun for my grandchildren; elegant and classy for the grown-ups! Love that snowman! luv the non-traditional colors on many of these!! I probably lean a little to the cute side, but I like to make classy tags as well. Cute and fun tags for me all the way!! I love Gayatri's tag today! I like to make both cute and fun tags and the elegant, classy ones. It all depends on my mood when I'm in my craft room. 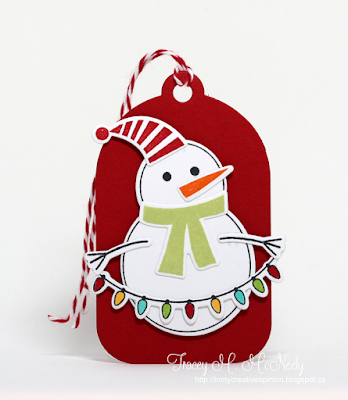 LOVE these gorgeous tags, especially the snowman one! oh my gosh these are all so cute!!!! love that minion tag.... LOL! and the cat ones are soooooooo adorable! I like cute and fun tags and these are adorable! Love all these tags, very inspiring! Fabulous!! Every single one! Full of festive inspiration. Happily your newest follower! Big Crafty Hugs. Awesome tags!! SSS has the most creative, inspiring designers. I like to make all styles of tags from cute to vintage to shabby to CAS. Lovely tags. I normally make cute and fun tags. Lovely tags everyone! I probably make more whimsical tags than anything else, it is just what I have the most fun creating. So many amazing tags!! I tend to make a mixture of tags because it depends who the present is for. Cute and funny for the kids, and elegant for the adults. 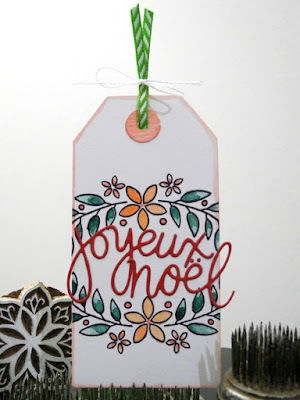 More of the fun and cutesy tags but do make some elegant ones for certain people. Loving all the fun and festive tags! Wow! What talent I am seeing. I like a mixture of cute and traditional.